Precursor Games’ anticipated Shadow of the Eternals has ended its Kickstarter campaign at just $127,116—far less than the $1.35 million the team was gunning for. Shadow of the Eternals was slated to be a kind of successor to the GameCube title Eternal Darkness—a very good game worth playing if you haven’t. Caporicci went on to state that the campaign will be started up again in “a few short weeks. Precursor first started their funding campaign in May with donations being collected through PayPal. They later switched to Kickstarter—probably due to the success other gaming projects had seen—with the goal of $1.35 million. Precursor assured contributors and followers that development would continue and can be followed via the studio’s official forums. So where did things go wrong for the campaign? Part of it could be the perceived reputation of Denis Dyack, Precursor’s Chief Creative Officer. Supposedly there was some funny business with money and maybe people wanted to fund the project, but not with him associated. The theory smacks of conspiracy, but it’s definitely a possibility and this could’ve harmed funding greatly. The other—more likely—reason is that the goal simply wasn’t achievable for a first run campaign. They were gunning for $1.35 million as the end goal. Sure other gaming-related Kickstarters have gotten funding in the range of millions. The Android-powered Ouya console is the best example of achieving this. The thing was that those had fairly modest considering what it was—a game console. Plus it had a hook—its $99, runs using Android, and it was fully customizable and open for homebrew. It was something people wanted and even game media could jump onboard with. Sure it wasn’t going to be a Wii U, PS4, or Xbox ONE as it’s a current/last generation console basically. Shadow of the Eternals is a spiritual successor of what is a cult game from a very well received, but not particularly successful console—Nintendo’s Gamecube. This isn’t like saying “We’re going to make a spiritual successor to Bushido Blade.” or “We need funding for a new Battletoads-Double Dragon.” Basically you’re looking for over a million dollars in funding from a pool of gamers that is either very small or adequate. If Sega started up a Kickstarter with the intent of funding the Dreamcast II—even though the console would likely be last-generation—people would swarm to that. The Sonic series, Phantasy Star, and Golden Axe become first party again, Shenmue becomes a regular series, and Yakuza becomes first party. The possibilities would be endless there. 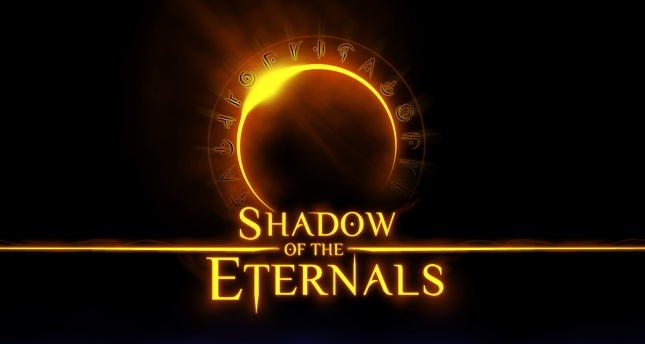 In the case of Shadows of the Eternals, they were aiming for an episodic game meaning they were likely planning to do several episodes on $1.35 million and cover voice actors and staff. Precursor was pretty much asking too much at one go for something that would be episodic. If they asked for a couple hundred thousand like $200,000 or $400,000 they could’ve gotten that amount and more. With a couple hundred thousand they probably could’ve done one or two episodes, gotten money off of those games sold and started another Kickstarter for less to supplement what they have. Shadow of the Eternals could’ve possibly done very well on the Wii U and PC and seen Precursor attempt other titles for the consoles. It was all down to how much you’re asking for and if that amount is obtainable. If Precursor Games were up for being exclusive to Nintendo and the Wii U as say a second party studio, they would’ve easily been able to get the game out. It’s mainly the reason why they’re going for crowdfunding to begin with. They’re not self-sufficient financially and having multiple avenues to put the game out is a good idea if you’re not a second party developer. So what’s next for Precursor Games? They’re likely to restructure and open their Kickstarter campaign with an easier to achieve goal. They might also have a financier for the project as well which will allow them to lower the goal and still have the $1.35 million they desire. In any case, I still believe that Shadow of the Eternals will be released and who knows, it might see multiple episodes.